It used to be that my day is never complete without a few cups of coffee. Although I didn't have problems with two to three cups daily, I know I had to cut back because too much caffeine and acid can be bad, too. I'm doing okay with just a cup a day, but there are times I still crave for a cup of Java. 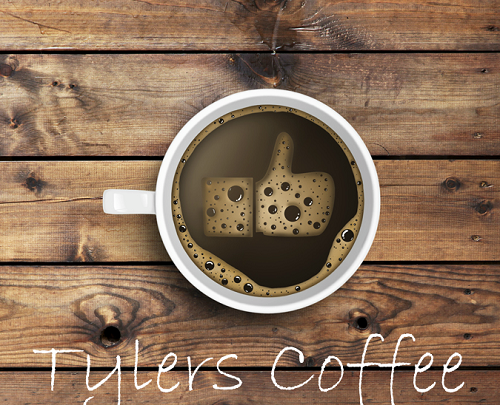 Then, I had the opportunity to review Tylers Coffee. 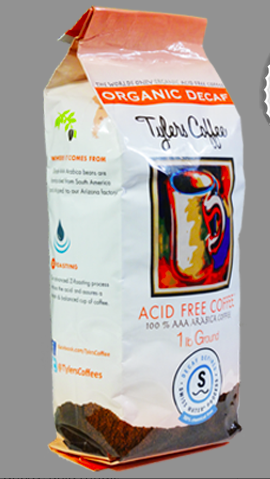 No chemicals are used in the process of making our coffee Acid Free. Our coffee beans have more caffeine because we do not burn off the caffeine in the roasting process. 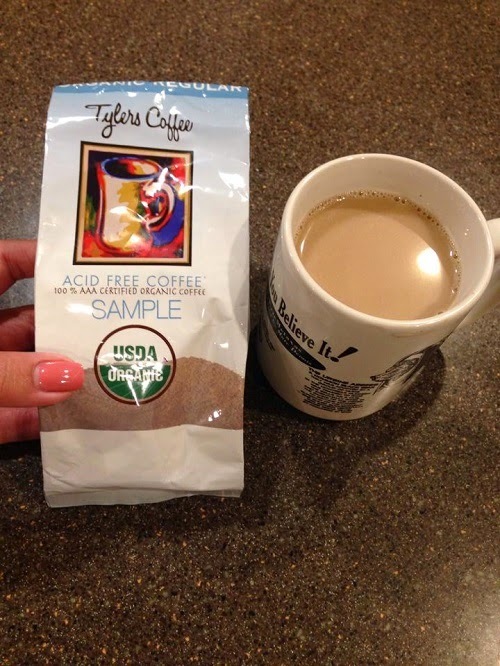 Tylers Acid Free Coffee won’t contribute to acid related problems such as tooth enamel decay, acid reflux, indigestion, upset stomach or heartburn. 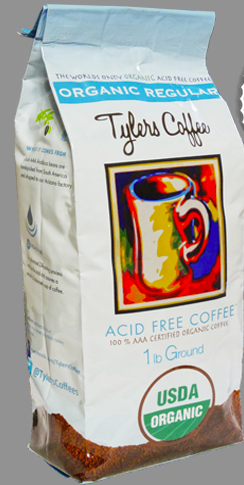 One Pound of coffee will make approximately 100 cups of delicious acid free USDA Certified Organic coffee. Each bag contains 16 oz of ground beans. This coffee is delicious and it's good to know that I can go back to drinking more than one cup a day. This is just like regular coffee without the acid. This will be good for my dad who suffers from heartburn. Both the Regular Organic and Decaf are acid free. That's because no chemicals are used in the process of making the coffee. Tylers coffee beans have more caffeine than regular coffee because they did not burn off the caffeine in the roasting process. I honestly did not find anything with this coffee. 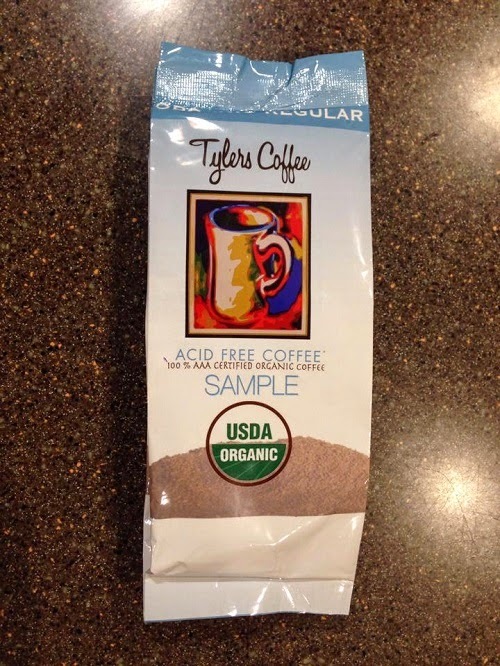 If you have issues with acid, but you just can't let live without a cup of Joe, Tylers Coffee is for you. The delicious coffee will not contribute to acid related problems such as tooth enamel decay, acid reflux, indigestion, upset stomach or heartburn. Where to purchase Tylers Coffee? Please visit their website at http://tylerscoffees.com/. They also have Facebook and Twitter pages where you can find out the latest updates on their products.